macOS Mojave 10.14 may be the most hotly anticipated Mac OS system software release in quite some time, thanks largely to the beautiful new Dark Mode interface option, along with various convenient features that are set to improve the Mac computing experience, from desktop Stacks, to dynamic wallpapers, a handful of new apps from the iOS world like News, Voice Memos, and Stocks, group FaceTime, improved security and privacy, and more. The anticipation for macOS Mojave has a lot of Mac users wondering when the new system software version will be released, and wondering when the macOS Mojave release date is. Well if you’re wondering when exactly macOS Mojave will be released, there’s some good news and some less good news; the good news is it will be released this year, the less good news is that outside of Apple nobody knows the exact release date of Mojave quite yet. What Apple has said is that MacOS Mojave will be available in the fall of this year, and it will be available to be installed on any MacOS Mojave compatible Mac. Specifically, Apple has offered the following statement on their MacOS Mojave press release; “macOS Mojave will be available this fall as a free software update”. That’s all well and good, but it’s not quite precise. But not having a precise release date yet is not unprecedented by any means, and that actually follows the same general timeline offered by Apple almost every year when a new operating system is released. Usually the next big version is announced at WWDC in the summer, and a fall release date is set for the public release version. So while the anticipation may be making users impatient, the vague release date of macOS Mojave is in line with typical operating system announcements, including the equally vague fall 2018 release date of iOS 12. If you’re too impatient to wait, then there are a few options available to Mac users. The developer beta of macOS Mojave can be downloaded now, and a public beta of macOS Mojave is also going to be available to download and install as well. 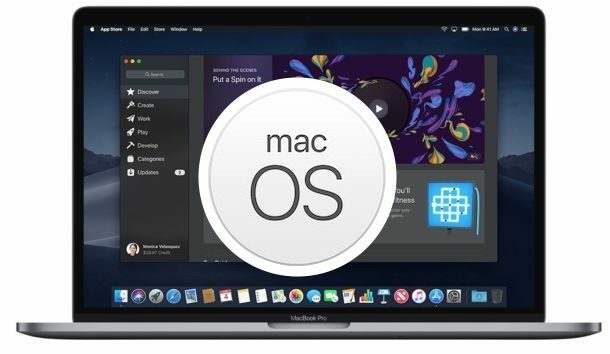 The only requirements for running beta system software on a Mac is tolerance for a buggier system that is actively under development, a good backup routine, and of course macOS Mojave supported hardware from the compatible Macs list. Will we eventually see a precise macOS Mojave release date? Almost certainly yes, though it’s unclear when we will know. Apple often announces the exact release date of system software during the unveiling of new hardware, so it’s conceivable that Apple will announce the MacOS 10.14 Mojave release date during the launch of a new line of hardware, whether it’s an updated iPhone, updated MacBook Pro hardware, new iPads, or similar, though it’s also possible that Apple could more quietly announce the release date in a press release on their website. Fall of 2018 may sound far away but it’s really not. The official start to fall is September 22, so it’s a good bet that the release will be sometime in that latter week of September, the month of October, or perhaps even in November or December… until then have some patience, as the payoff will surely be worth it with the gorgeous new Dark Mode and new features in the upcoming Mac system software. Mojave is just some cute changes to force you to dump your older computer and buy a new Mac. Am running 10.11.x and are fine. Do not need new bells and whistles. E.G. “stacks” in Mojave, touting as making your desktop clean. Since OS 10.1.x you have had this option to keep a clean desktop: just build folders for aliases of Key Application and Key Documents, fill them with aliaes for your favorite apps and documents, then put the 2 Key etc. folders in the dock; “lo and behold” you have a clean desktop and can, using the dock, open any thing you want with 2 clicks. The upgrade is a is a shell game. I will wait until 2020 to upgrade. I absolutely agree. If Apple can do nothing more than tempt us with cotton candy, maybe they need a redo in the “think” department. even u r on windows u still have to be updated. at least for editor like me. theres no way to edit 4k video on an old macbook. Hey guys, if you own a 2009-2011 Mac, fear not… There’s a workaround that will allow you to install Mojave, using a developer “patch tool” that’s in the works. A bit like your comment then. Part of the reason Mojave is ‘hotly anticipated’ is that High Sierra leaves much to be desired. You have got to be kidding me. My amazement at anything Apple did died with Steve Jobs. same here, they haven’t released anything exciting enough since then. I think you guys should all try to be a bit nicer. What happened to the promised APFS support for Hybrid drives? “dark mode” – isn’t that exciting 😝!!! Wow. Look at all of the MacOS “victims”! I’m looking forward to Mojave, simply because it will further improve an already excellent OS (High Sierra). To be specific, the developments to improve privacy will be very worthwhile, along with the improved convenience from “Quick Actions”, and deeper integration with iOS. As a regular user of Win 10 (for work) and High Sierra (for pleasure), I have developed a strong appreciation for the productivity that MacOS brings for me. A search function that really works? Yes. Built-in file tagging system? Yes. Built-in PDF mark-ups and signatures? Yes. Built-in password management? Yes. A next-gen filesystem in APFS? Yes. Built-in full disk encryption? Yes. First-rate accessibility technology? Yes. A standard mail client that’s worth using? Yes. The best part of it is….. it’s a free upgrade! haha exaclty! macOS is awesome. The MAC mail client is dreadful which is why I use outlook on the MAC. Are they changing the mail client in Mojave? Doesn’t Mojave ditch 32 bit apps? I won’t upgrade until my apps are 64 bit. Yes it did. Just like iOS 11 dropped support for 32-bit apps on mobile devices last year, which also meant that some older iphones and ipads could no longer get any iOS software updates from then on.